What to Give the One who has Everything? The holiday hustle and bustle are in full effect. When you have made your list and checked it twice, is there one or two people stumping you? LV Plastic Surgery has the solution for you! A gift Certificate from Brian J. Parker MD lets that certain someone choose the product or service that is perfect for them! They can use the Gift of Luxury on relaxing facials which start at $100, medical-grade skin and beauty products, anti-aging injectables like Botox, beautifying fillers, and the latest in injectable solutions are very popular choices! Non-invasive procedures like CoolSculpting, Ultherapy, Fraxel Laser, and Venus Freeze are great options for the busy guy or gal that can’t deal with the downtime of surgery. All of these products and services are available with your Gift Certificate. 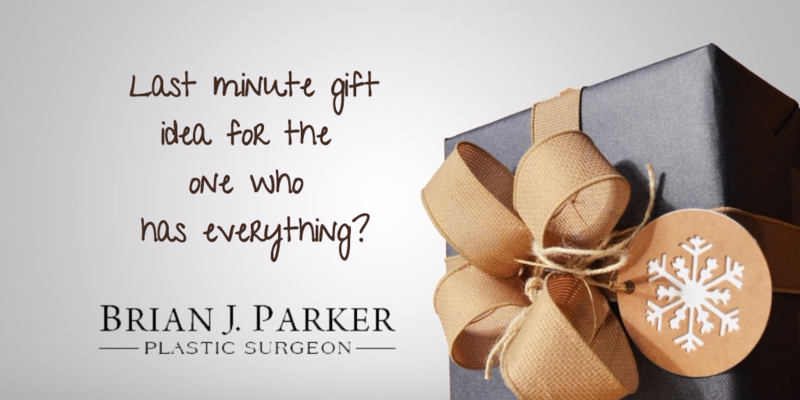 Of course, Brian J Parker MD has built LV Plastic Surgery on expertly executed artistic Cosmetic and Reconstructive Surgery services and that may be used with a Gift Certificate, too. So if she is dreaming of a mommy makeover or he dreams of turning the hands of time back to a more vital-appearing version of him, LV Plastic Surgery can deliver what Santa can’t; confidence in one’s own skin.